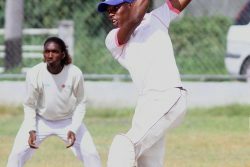 Guyana’s national women’s team coach, Andre Percival, yesterday said that he was confident of the team doing well in the upcoming 2013 West Indies Cricket Board (WICB) Regional tournament, despite the brief period they have had to prepare. Some members of the national female team going through their paces yesterday. Trinidad & Tobago, and Dominica, among others. The ladies who were encamped since Saturday yesterday engaged in various aspects of training including the usual batting and bowling exercises. 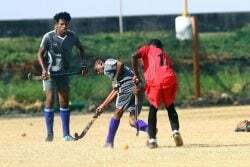 As a result of the recent bad weather, the squad was forced to take their training indoors at the Chetram Singh indoor facility located at LBI on the East Coast of Demerara. 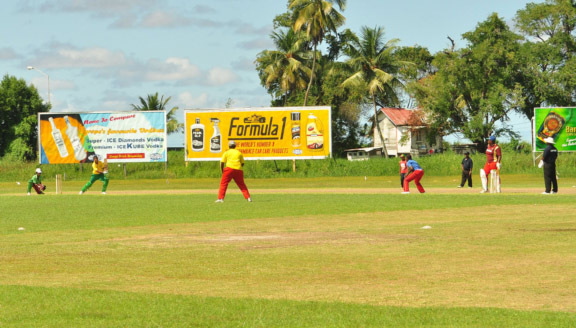 Stabroek Sport visited the Everest Cricket Club ground yesterday and caught up with Percival, who was present as the players participated in a practice game. The coach noted that the team was doing “intense training” with regards to batting, bowling and fielding as of late and on Saturday the team indulged in fielding and catching practices at the Gandhi Youth Organisation (GYO) ground. 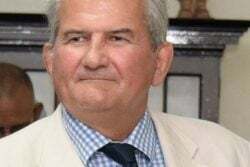 In conclusion, the coach declared that the country needed to place more emphasis on women’s cricket and he was not at all satisfied with the time given to work with the team, as ladies required more time and attention with regards to training, than the males. The first match bowls off on the August 5th between St. Vincent & the Grenadines and Grenada.